Baked lasagna, also known as lasagna bolognese, is a traditional first course of Emilian cuisine based on ragu meat sauce, egg pasta, béchamel and parmesan. 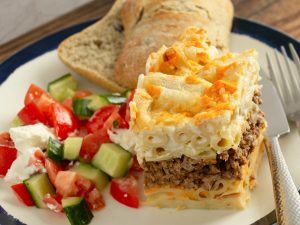 There are those who prefer white lasagna or those who prefer vegetarian lasagna, and everybody has its own family recipe for this course that makes everyone fall in love and jealously guards its secrets. Today, however, we want to reveal you our secrets for a baked lasagna bolognese worthy of note. 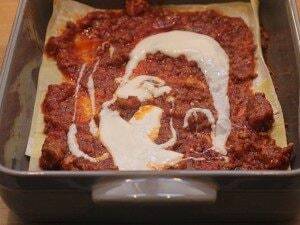 One of the fundamental steps of lasagna bolognese is ragu sauce. The main ingredient can not and must not be bought or delegated to others. 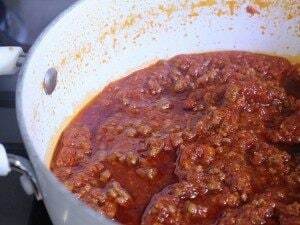 The trick is to cook the ragu sauce at least for two hours, and – if you have time – even three hours, but it is not essential. Prepare the béchamel by yourself: at the supermarket you can certainly find some worthy substitute for home-made béchamel but, let's be honest, there is no brand that can beat the taste of the béchamel prepared with your hands. Moreover, béchamel is very fast and cheap to prepare. 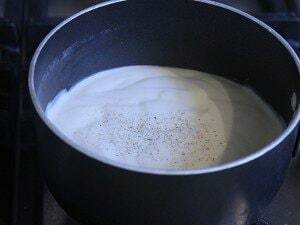 Put 500ml of full-cream milk in a small saucepan and heat it up. In a second saucepan put 50 grams of butter and melt it, then remove the butter from the stove and add 50 grams of sifted flour, put it back on the stove and let it cook until it is golden brown. Now add the milk little by little to the mixture of butter and flour (the famous roux), continuing to blend it with a whisk to prevent the formation of lumps. Add salt and pepper and cook it for about 5 minutes, until your béchamel is thick. Create a mound with 400 grams of flour and then create also a sort of hole at the center of your countertop and put 300 grams of eggs (about 4) in it. Knead the flour to the center, until you get a smooth dough. Let the dough rest, covered with plastic film, for about 40 minutes. I suggest you to use a special machine to stretch the dough well. Otherwise if you diligently dedicate yourself to the rolling pin, you have to stretch the dough outwards from the center, until you can see your hands through a veil of fresh pasta. Once, fresh pasta was a must. Today, unfortunately due to lack of time, we are losing this tradition. But if you put aside the laziness and decide that it is the right Sunday to knead, then you will get the perfect lasagna. 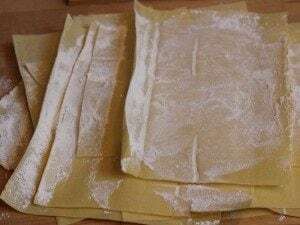 But, above all, you will discover that it does not take a lot of time to prepare fresh pasta for lasagna. Season each layer abundantly with all the ingredients. In home-made cooking, especially for the giants of Italian culinary history, abundance always pays back, both in portions and in seasoning. 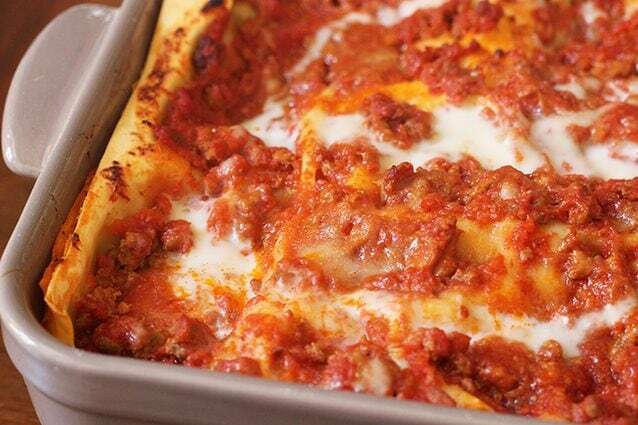 Often the lasagna you eat in other places are quite dry, for a series of reasons that I am explaining you in this path along the lasagna secrets, but often the reason is that there is little seasoning between one layer and another. Traditional Italian cooking is always generous, so be generous with all the layers of your lasagna and try to keep the same balance between one layer and another. Sprinkle the last layer with a lot of parmesan and béchamel, so that in the last ten minutes the lasagna can be perfectly cooked au gratin. Bake the lasagna at 180° C in a hot oven for about 30 minutes and, during the last 10 minutes, turn on the grill. In this way you will get the lasagna soft on the inside and with a slightly crunchy and particularly tasty surface. Add plenty of water in the casserole dish to make sure that the pasta is soft and well cooked. 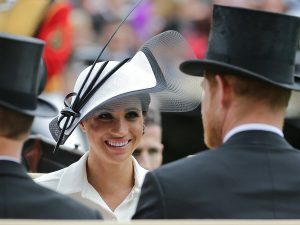 So, once you have prepared all your layers and seasoned well the surface, add water, starting from the corners, to not ruin the last layer, until you have reached the last layer of pasta. 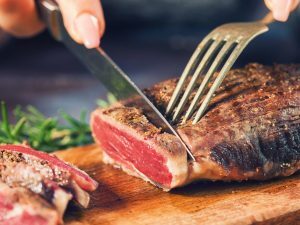 In this way, you will get the perfect consistency. With the right cooking time, you will get the perfect soft lasagna.